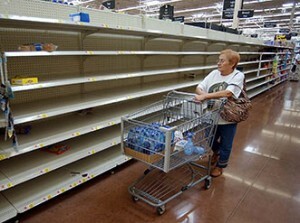 FEMA recommends 3 days’ worth of food and water to last most common emergencies and I would say 30 days is a better goal to shoot for. 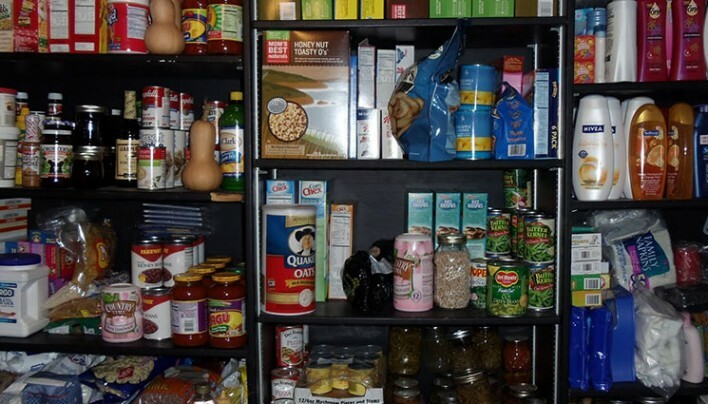 If you have a month of food stored in your house you can worry about other things like getting back to your family if you are away from home or not going out in the first place to fight the lines of panicked people who waited until the last-minute. Storing food can be complicated and costly but it is possible to start with a very simple list of items that you can purchase from your local grocery store or big-box chain like Wal-Mart, Costco or Sam’s Club. I have compiled a simple list of common foods that you can go get today that will allow you to feed a family of 4 for 30 days. If you have more or less people or giants in your family tree then you would need to adjust accordingly. I shop at Costco or Sam’s, but you can get all of these at your friendly neighborhood grocery store. You may have to adjust the quantities. I like Costco and Sam’s because I can buy larger containers and have to worry about fewer items. You can also throw these into your cart and nobody is going to look at you like you are a deviant. If anyone does ask you what you are doing, just tell them you are having a big Chicken Stew or some other neighborhood type of event. Oatmeal – Good old fashioned oatmeal is simple to cook and store. A normal container has 30 servings each so purchase about 4 of these and your family won’t starve for breakfast. At $2 each that is about $8 for breakfast for a month for a family of four. Could you exchange Pop-tarts? Maybe, but I find oatmeal more filling and less likely to be snacked on. Once you have 30 days of groceries in your pantry I would recommend looking into storing larger quantities in Mylar bags or purchasing freeze dried foods and bulk grains to augment your supplies. You would also need to plan for basic necessities like hygiene (hello toilet paper!) and different food items. What else should you have? I would recommend several large candles (very cheap at Wal-Mart) or a propane powered lantern, matches or lighters, batteries for flashlights a good first aid kid, radio and plenty of water. You should also add bullion cubes and spices in to make the meals more palatable. Is this going to be as good as some toaster strudel or 3-egg omelets in the morning? No, but this list above will keep your family alive. Written by: P. HENRY on September 2, 2013. Last revised by: , our reviewer, on September 3, 2013.